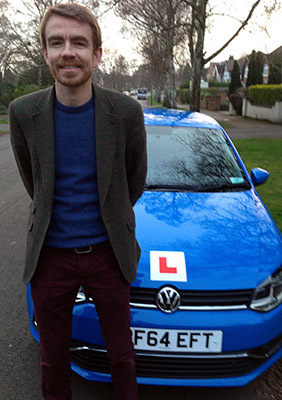 Hi, my name’s Joe Starbuck and I’m an Advanced Driving Instructor based in Leamington Spa. My car is a manual gearbox VW Polo called Betty, lovingly named by my 2 daughters! I’m fully qualified to Driving Standard Agency requirements, and have been an instructor since October 2005. Whether you are a new pupil with little or no experience, or an existing driver looking for a refresher course then I can help. If you’ve tried, but really struggled driving a manual car before, then please give me a try. I’ve had great success with those who thought learning in an automatic was their only option. I’m very patient and will particularly help to put nervous drivers at ease. I provide one-hour, 90 minute, and two-hour lessons. All lessons are always one-on-one, you’ll never share with other students.